It is pretty typical for new dealers just starting to sell Olympic Eyewear sunglasses to start out small. They do not have a lot of money to put into inventory, and they are not quite sure what will actually sell in their area. Fair enough. But at some point, succeeding in this business requires expanding your inventory to include everything from classic aviators to black wayfarers and the latest rimless sunglasses. Olympic Eyewear puts a lot of time and effort into developing our wholesale inventory for the express purpose of giving dealers as many choices as possible. We understand that not every dealer is going to purchase every item in our inventory. But we also know that the most successful dealers do not limit themselves to just a few products. They expand their inventories enough to meet customer demand. 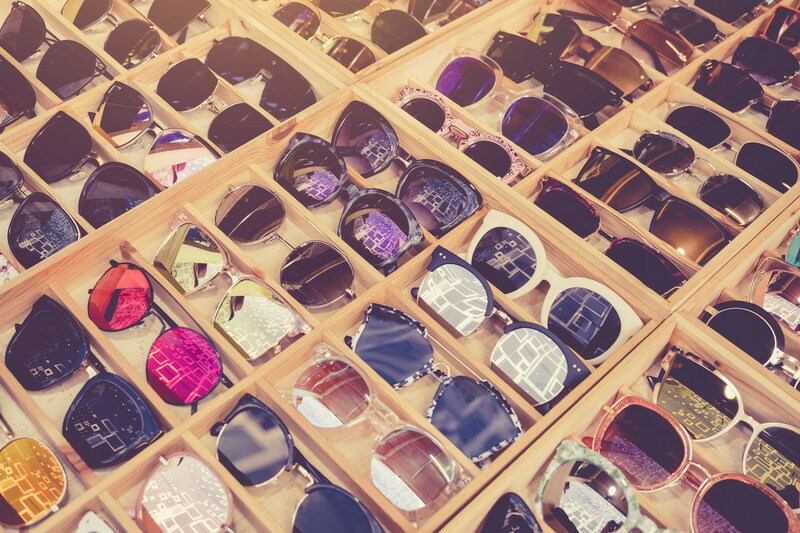 It's true that the vast majority of customers who purchase sunglasses purely for utilitarian purposes aren't always interested in dozens of different shapes to choose from. But those kinds of customers are not the only ones you are trying to sell to. You also want to target customers who view fashion sunglasses as an accessory to whatever outfit they happen to be wearing at the time. As such, shape becomes an important consideration. You already know that certain shapes play well with certain faces. But did you know that shapes can either flatter or clash with certain fashion trends? It's true. That's why celebrities tend to own so many pairs of sunglasses. They want a pair that perfectly complements every outfit in their wardrobes. As important as shapes are, materials mean a lot to buyers as well. 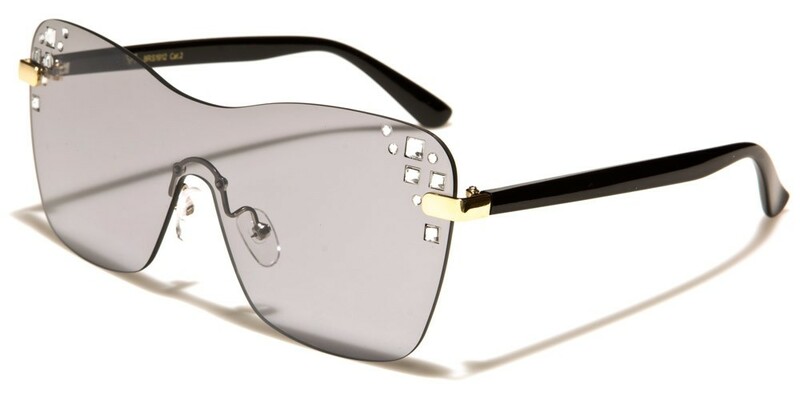 As an example, consider our VG Rimless Rhinestone (RS1912) sunglasses. No doubt the lenses and arms are plastic. Neither is the selling point for these designer shades. Rather, it is the small rhinestones that get the attention. They are something that appeal to a certain kind of buyer. There will always be those customers for whom materials do not matter as long as their sunglasses are sturdy and well built. But there are others who look for specific materials. There are still others who might be captivated by a material like rhinestones without planning ahead. You need to extend your inventory in order to account for these kinds of buyers. If there's one thing we've learned being in the wholesale sunglasses industry, it's this: price almost always trumps every other consideration. It has been our experience that customers usually go about buying new shades with a certain amount of money they are willing to spend in the backs of their minds. Go above that amount and you've lost them. We sell wholesale sunglasses at various price points. Why? Because we know that your customers have their own price points as well. Your inventory should be expansive enough to cover all those points with enough choices to keep customers happy. You need extremely cheap sunglasses to keep the budget-minded customers coming in. You need moderately priced sunglasses for those customers willing to spend a little extra for quality. And of course, you need the top-of-the-line models for customers buying without budgetary limits. Hopefully you understand a little bit better the importance of offering an expansive inventory of designer sunglasses. The more choices you offer your customers, within reason, the more happy customers you'll have.